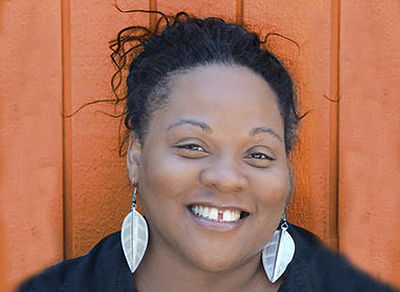 Dionne started her business informally, having private dinner parties for friends, and eventually, a wedding, and then decided to go into business full time in 2009 with a mission to bring healthy, fresh food to the West Oakland community. When Dionne had the opportunity to expand her business with the Mandela Foods Grocery, a Worker- Owned Cooperative, a few years later, she came to Working Solutions for a $25,000 loan to pursue her dream. Dionne used the loan to buy small wares, an espresso machine, and to hire new employees. The loan helped her expand her business, as well as her customer base, giving her a solid presence in Oakland. Dionne is grateful to Working Solutions for the help in loan preparation and for the follow-up afterwards to check on her progress. Today, Dionne’s business is thriving. Her signature dishes and healthy meals – blackberry- chili glazed turkey meatballs, braised short rib sandwich, and banana pudding! – are a staple at her café. Her Biscuit Breakfast Sandwich was voted one of the East Bay’s Best by SF Eater. Dionne estimates that she has created at least 10 jobs over the years, both full- and part-time, with her business. Looking ahead, Zella’s is getting ready to move into a bigger, shared space near 14th Street in the Oakland City Center. Long-term, Dionne would like to have her own space where she can continue to serve food and teach cooking classes, sharing her philosophy about food and community. Stop by and say hello to Dionne, and try some of her delicious Southern-comfort food delights!